How was everyone's Easter? Mine was great - long, relaxing weekend with family and friends who came into town for a visit. I got tons of candy and ate probably a *little* too much. I don't know about you, but I am all sugar-ed out! I have been craving something savory instead, so here's one of my favorite comfort recipes that you can enjoy before it gets too warm outside. 1) Preheat the broiler and position the oven rack 5 inches from the heat. 2) Distribute the cubes of Fontina evenly in a 12-inch cast-iron pan (or oven-safe, I didn't have a cast iron). 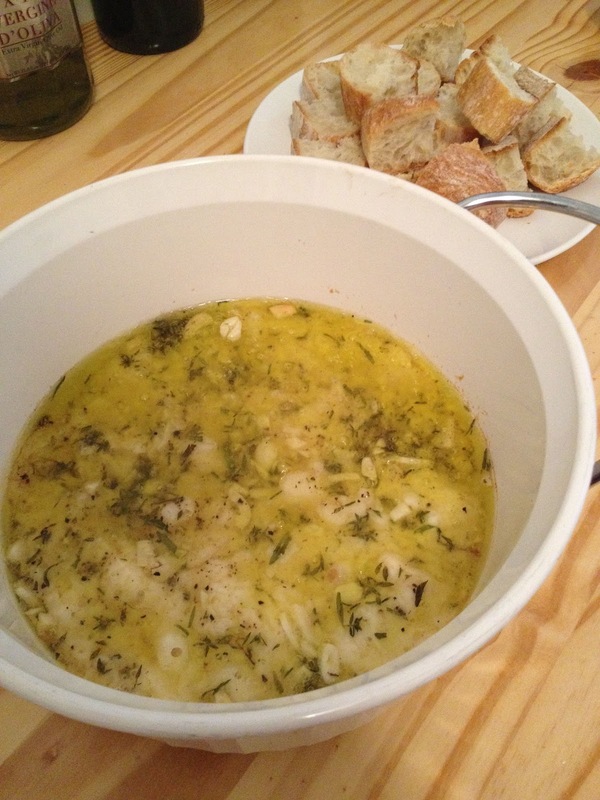 Drizzle on the olive oil. 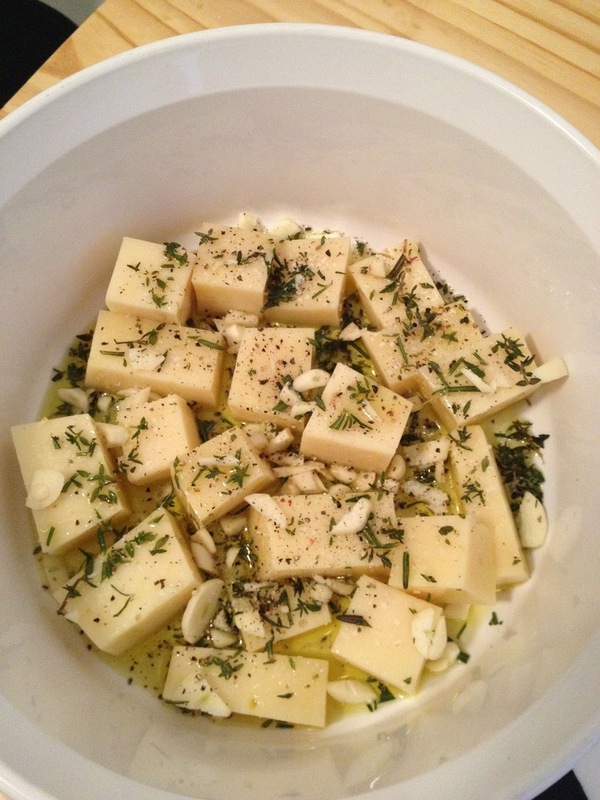 Combine the garlic, thyme, and rosemary and sprinkle it over the cheese and olive oil. Sprinkle with the salt and pepper. 3) Place the pan under the broiler for 6 minutes, until the cheese is melted and bubbling and starts to brown. Mine took a bit longer - about 8 minutes. 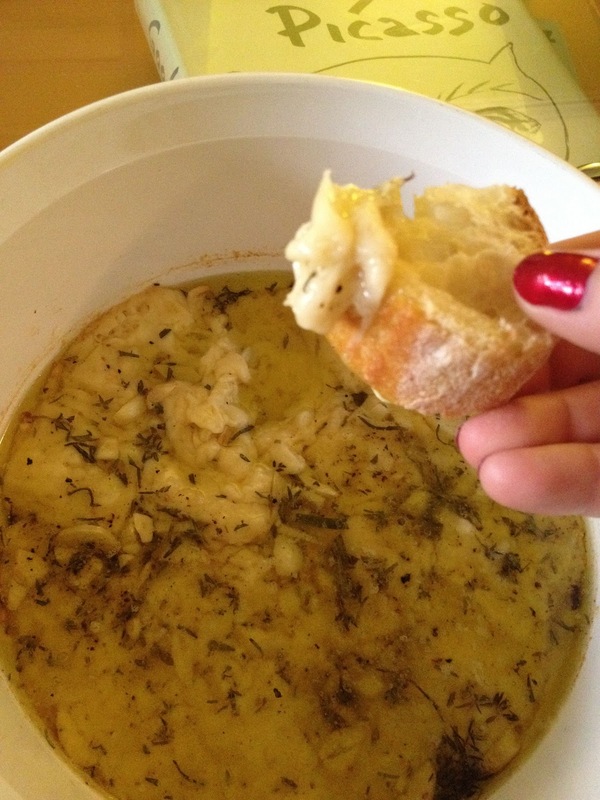 4) Serve family-style - right out of the oven with crusty chunks of bread for everyone to dip. oh my god. looks like freaking heaven. i want to live in that bowl!